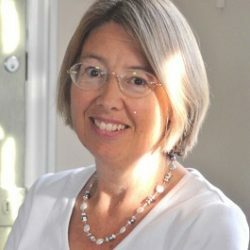 Christina Sadler, a Merger Consultant from Chedgrave, thinks that North Norfolk is the perfect place to enjoy the peace of the natural world. 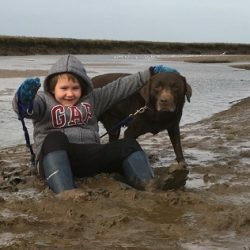 For Christina, her nephew David, and her chocolate Labrador Maximilian, the stunning landscape of Blakeney Point and the surrounding countryside are their favourite places to get active. Together, they are the ultimate explorers, often going off the beaten track to walk along the beaches and trails, avoiding the crowds. As well as walking, Christina likes to see the coastline from a different perspective – on the water. One of the main draws of North Norfolk is access to the unspoilt coastline, and, as Christina has discovered, this can be enjoyed on foot or by water. 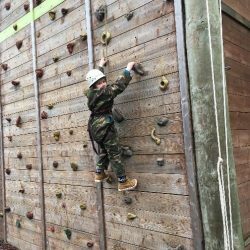 As well as exploring the rugged North Norfolk landscape, our active pair recently spent a day being the ultimate adventurers at Hilltop Outdoor Centre in Sheringham. For children who enjoy romping around in the mud like David, it provides a safe environment for letting off steam and trying some new outdoor activities. Hilltop Outdoor Centre is set within 26 acres of private and 200 acres of public woodland, positioned in the perfect place overlooking the North Norfolk seaside town of Sheringham. 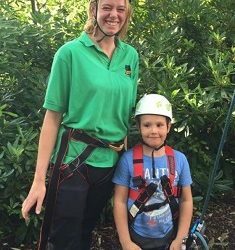 Christina first visited Hilltop Outdoor Centre on a training course and knew it would be the perfect place for her adventurous nephew. The highlight of the visit for Christina was seeing the children have fun together, and watching her nephew’s confidence grow. “It was good to see David walking the high wires, and it was moving how the other children encouraged him to go higher. At the start of the session he was nervous and hesitant, but by the end he was confident, and you couldn’t stop him. It wasn’t just the equipment and range of activities that impressed Christina; the whole experience was made special by the safe environment and encouragement the staff provided. “I found the staff very kind and helpful. They keep the kids safe and are clear on the rules in a gentle way. They also coach and encourage the best from each child. Hilltop Outdoor Centre is open during the school holidays, including during the summer holiday from Monday 25th July to Friday 2nd September. Prices start at £20.00 per person for half a day or £38.00 per person for a full day. Days run from 10:00 AM to 16:30 PM. An activity schedule can be found here, so you can choose when to go depending on what takes your fancy. They also offer outdoor educational opportunities for primary and middle schools and further education colleges. There’s a programme of activities designed to encourage children to learn through discovery and reflection, and these can be selected depending on the school’s requirements. Activities include bushcraft survival and sessions on pond life, coastal erosion and flooding and protection, to name but a few. Hilltop Outdoor Centre is about two miles south of Sheringham and can be accessed from the A148 between Cromer and Holt. Follow signs to ‘Hilltop’. Depending on the route you take, it is about a 22-minute drive West from The Blakeney Cottage Company HQ in Blakeney.